China is taking advantage of the low commodity prices to scoop up bargains. The nation has been buying so much copper that the market slipped into a deficit in February, drawing down stockpiles, as average mine utilization fell 9%. Iron ore imports were up 33% in April, to a record 57 million metric tons. Chinese purchasers visited Mozambique in May to lock in deals for base metals like aluminum. The nation just finalized a $9 billion deal with the Democratic Republic of Congo to develop copper and cobalt mines in exchange for infrastructure projects like roads, schools and hospitals. Recently thwarted in its attempts to invest in Rio Tinto, China has reached an agreement to acquire an Australian miner, Oz Minerals. In addition to coal, China is assuring its access to adequate energy supplies. The nation increased its oil imports 13.6% in April. The government also awarded a US$25 billion loan to two Russian energy companies to lock in 300,000 barrels of crude per day for 20 years. This is part of the Chinese strategy to increase its crude stockpiles from about 30 days of use to 90-100 days supply. China is not neglecting its need to secure food stores, either. The official Xinhua news agency is citing experts who recommend the nation accumulate 50 million metric tons of soybeans. The Chinese are purchasing tons of soybeans now, to try to avoid end of crop year rationing. Stockpiles are expected to run very low before the new crop is harvested in the fall, as Argentina’s harvest was much smaller than expected. Much higher prices are anticipated this summer. Although soybeans have gained more than 46% since March, there is still room for appreciation. As of two weeks ago, Chinese soybeans cost more than $2 per bushel more than U.S. beans, so the backhaul and arbitrage makes it worthwhile to import this essential foodstuff. I predicted tight supplies and Chinese purchases in my essay A Growing Problem, which was published on several financial websites in December. That week, we saw a bottom in the grain complex, and the beginning of a robust rally in the CRB. Through the years I have uncovered additional data to support my theory. I detailed the rotational model the Chinese use to purchase metals on the London Metal Exchange, allowing inventories to build and the price to fall. 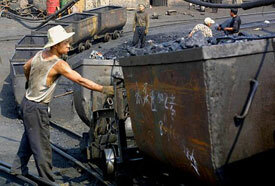 Once the commodity was cheap again and inventory was plentiful, China would rotate back to purchasing that metal. I articulated the backhaul shipping mechanism they used to cheaply ship heavy commodities back to China on the return voyages of ships loaded with consumer goods. 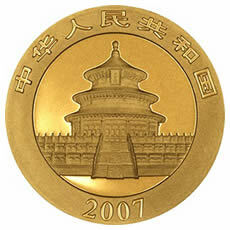 China’s public acknowledgement that it had secretly built gold reserves has opened eyes. This has now spurred important voices in the financial world to align with the China Hoard Theory, acknowledging a broader Chinese strategy to get out of the dollar and into real assets. The Royal Bank of Canada stated that “China is stockpiling commodities such as copper and iron ore as part of a reallocation of its sovereign wealth amid concern that the value of its dollar assets may decline.” In April, Ambrose Evans-Pritchard realized the folly of China's vendor financing with its customer America in a severe economic downturn. Also that month, Jim Puplava and Puru Saxena analyzed the Chinese desire to exchange paper promises for shrinking supplies of depleting minerals. Having correctly called China’s commodity strategy years ago is a great triumph for me as an analyst. Other pundits have deprecated the commodity rebound, claiming that China is just spending stimulus money that will soon run out. However, I think this uptrend is more than an aberration. Instead of “green shoots” in the U.S. we are seeing bamboo shoots in Asia. Even with China having its worst year since 1992, its first quarter GDP grew 6.1% year-over-year, a strength other countries envy. Industrial production was strong last month as well. Zapata George Blake notes that tire plants in China are running full shifts - a leading indicator of a rebound in auto manufacturing. This will continue to boost the price of related commodities like palladium, which made a recent high of $262, up 45% for the year. Other measures corroborate a recovery in China. The CRB Index is up nearly 32% since its lows in December. The Baltic Dry Index, a measure of global shipping demand, reached 4,291 this week, more than six times its December low of 663, but still less than half its 2008 high. It smashed its 200 day moving average to the upside, and went nearly parabolic before correcting. This indicates higher demand as well as some loosening in the credit markets. The resurgence in these indices, and the rise of U.S. stock markets on poor fundamentals is also signalling a resurgence of price inflation. The world’s central banks can’t flood the globe with liquidity in a move they euphemistically call qualitative easing without pushing the cost of goods much higher. The Federal Reserve is the globe’s worst offender in this area, swapping banks’ toxic assets for Treasuries which these financial institutions can use as collateral for other risky deals. With banks deemed “too big to fail,” the taxpayer is on the hook for any further losses, and the regulators do little to rein in excesses. I believe that hyperinflation is sadly inevitable, so it’s wise to copy the Chinese. Make sure you have a heavy weighting in the precious metals, the safest assets of all. Then swap your excess dollars for real assets like nonperishable food and other necessities. Avoid leverage in all commodity investments, as the volatility can cause big losses if you are on margin.